This handy 9 inch. x 6 inch. 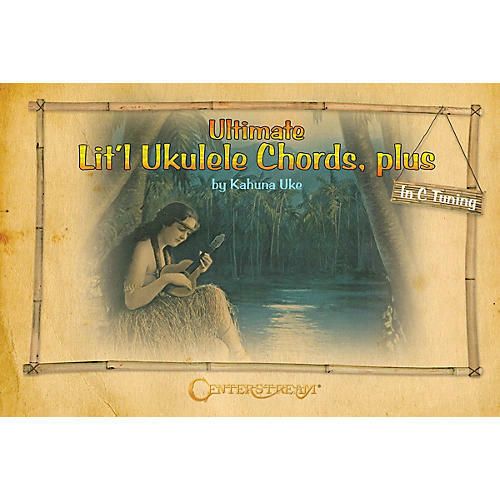 guide in C tuning provides all the ukulele chords you'll ever need. The diagrams are easy to use and follow, with principal chords in major and minor keys, in all the different chord positions. Also features sections on: How to Begin, Scales on All Strings, Note Studies, and Chord Modulations (great for intros & endings!). Happy strumming. Mahalo!